JUX Accordion menu is a type of slide down menu which display in multi-level accordion menu with beautiful design and fully responsive. 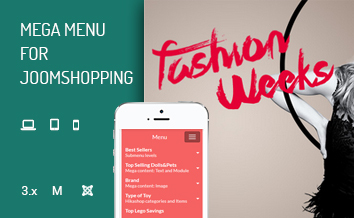 JUX Accordion menu are used widely in navigation, sliding, minimizing and maximizing content. This joomla menu will help you save space on your site and be able to show a lot of information when you hover on the menu. 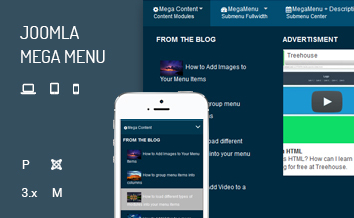 JUX accordion menu is a beautiful accordion menu design for Joomla page. 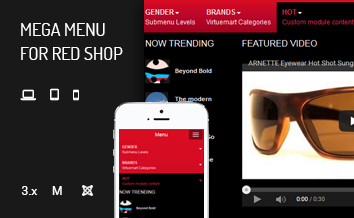 We provide you a stable, comparative menu with many templates, easy to use and simple configuration. 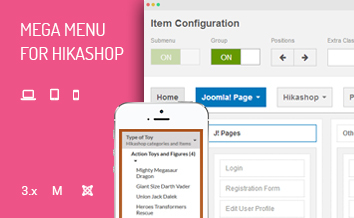 Admin area is where you can control all of the menu operations and style for it. 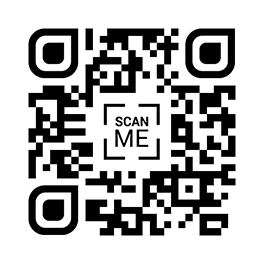 We have created as simple as we can to help you reduce your tasks and make it easier for your manage. Stable: this module is tested many times before release to handle error, especially js conflict. Control: this module lets you choose to expand menu by a click or mouse hover. Behavior: you could set behavior so that many items can be expanded at the same time. Animation: you could set the speed of expanse action.